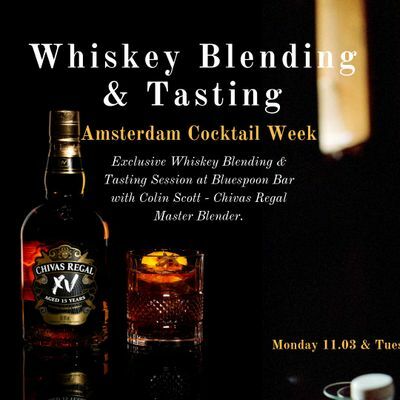 As Amsterdam Cocktail Week 2019 approaches, it's time to put Bluespoon Bar and our resident Mad Hatters in the spotlight once again! 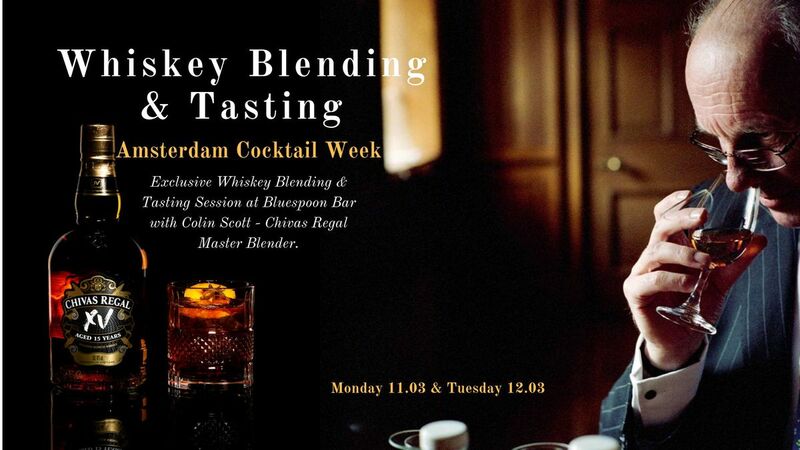 Join us for an exclusive whiskey blending session with the ever infamous Colin Scott, Chivas Regal Master Blender. Following the tradition of his father and grandfather who dedicated their lives to the Scotch whisky industry before him, Colin Scott became Master Blender in 1989. He has been the guardian of the Chivas Regal smooth signature style ever since. Experience this once in a lifetime opportunity to get up close & personal with Colin Scott during the first few days of ACW. Sessions will include:- Welcome with complimentary cocktail- History, art of blending & tasting C12- Blending workshop- Tasting of special expressions (Mizunara/Ultis) along with Q&A- A memento to take home and savour!